Oxford Sparks offers training each term on various aspects of doing public engagement, these are open to researchers from DPhil upwards. Description: An introduction for those looking to get started in Public Engagement and Science Communication covering the basics of what it is, how to do it and a chance to be inspired by those already doing it. Desription: This comprehensive introduction to working with hands-on activities will include thinking about how people learn, the value of a hands-on approach and consideration of the practical issues you may face. Description: From inception to publication, this session is a whirlwind tour through the basics of how to share your research in an engaging manner through podcasting. The session will introduce approaches to podcasting and some of the basic technical skills of recording, editing and publishing audio files. Description: A practical introduction to using social media tools to develop and maintain an on-line presence, and how to start defining your audience and developing strategies for engagement. Description: This course will help you develop an understanding of what makes a great narrative or story and develop your communication skills for different non-academic audiences. UK universities are world-renowned for their research excellence, attracting talent from across Europe and beyond. However what role does the EU play in supporting groundbreaking research, discoveries and inventions, and how much do our universities need EU funding and support to remain at the cutting edge? The University of Cambridge is hosting a discussion event about this topic. The debate will focus on the EU role in supporting research, discoveries and inventions and the role of EU funding in supporting excellent research. Panellists include the Vice-Chancellor of the University of Cambridge, Professor Sir Leszek Borysiewicz, as well as local MEPs, academics and industry representatives. 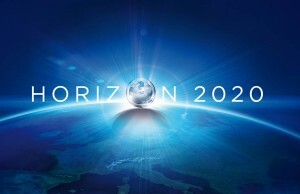 The European Commission Horizon 2020: Societal Challenges, under the secure societies topic, will soon be inviting proposals for its Digital Security call. The expected opening date is 16 December 2015 with the closing date likely to be mid-April 2016. Proposals may address assurance and certification for trustworthy and secure ICT systems, services and components, and must take the form of research and innovation actions, coordination and support actions or innovation actions, depending on the topic addressed. Research and innovation actions and innovation actions require participation by at least three legal entities, each established in a different EU member state or associated country. 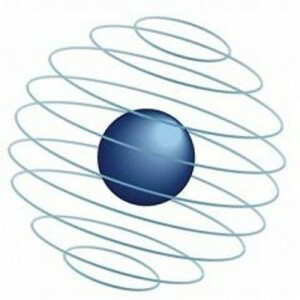 Coordination and support actions require at least one legal entity established in a member state or associated country. — Experimental testbeds on information-centric networking. — Federated cloud resource brokerage for mobile cloud services. Proposals must take the form of research and innovation actions. These require participation by at least three legal entities, each established in a different EU member state or associated country.